The San Bernardino Division Qualifier for Summer Nationals will be held Saturday, February 11, 2017, at Hemet High School. Please pre-register on AskFred.net. The close of check-in times are posted on AskFred. Remember, this is the Division Qualifier for San Bernardino Division fencers. You must be a member of the San Bernardino Division to fence in this qualifier, not L.A. Division, not San Diego Division…San Bernardino Division. This is a Div 2/3, Veteran and Y-14 qualifier. The entry fee is $15 per event. We will be checking masks and gloves and there will be a rated referee. Again, please pre-register and note the close of check-in time for your event(s). Summer National Championships will be held in Salt Lake City, Utah, July 1-10, 2017. Our first fencing tournament of 2017 was held at Hemet High School. We had a great turnout with 27 fencers for foil, 21 fencers for epee and 12 fencers for saber. Reynaldo Navarro, South Coast Fencing Center, took first place in saber and earned his E17 rating. 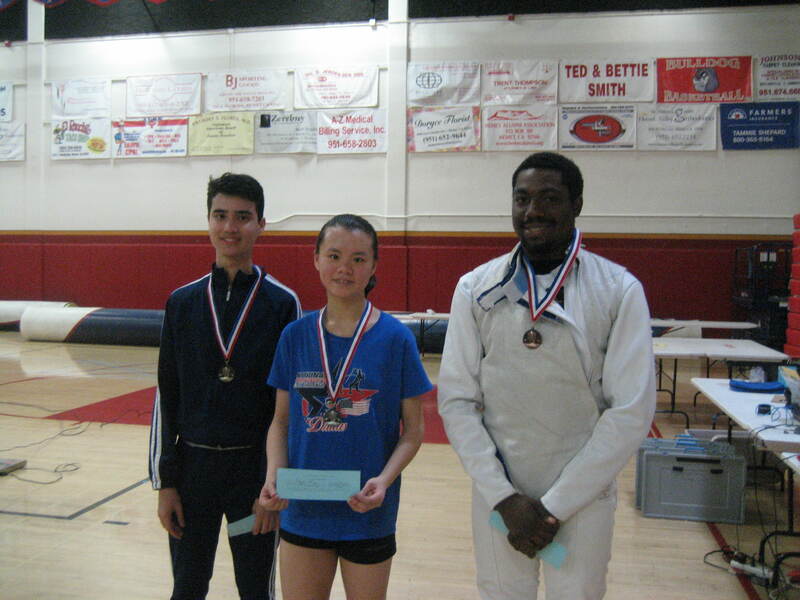 In foil, Ethan Hodess, LAIFC, took 1st place, earning his D17, in 2nd place, Christine Wang, Gryphon Fencing, earned her E17, in 3rd place, Daniel-Douglas Walker, Victor Valley High School/Fencing Academy of Nevada, earned his E17 and also in 3rd place, Gary Zeiss, Beverly Hills Fencers’ Club, earned his E17. 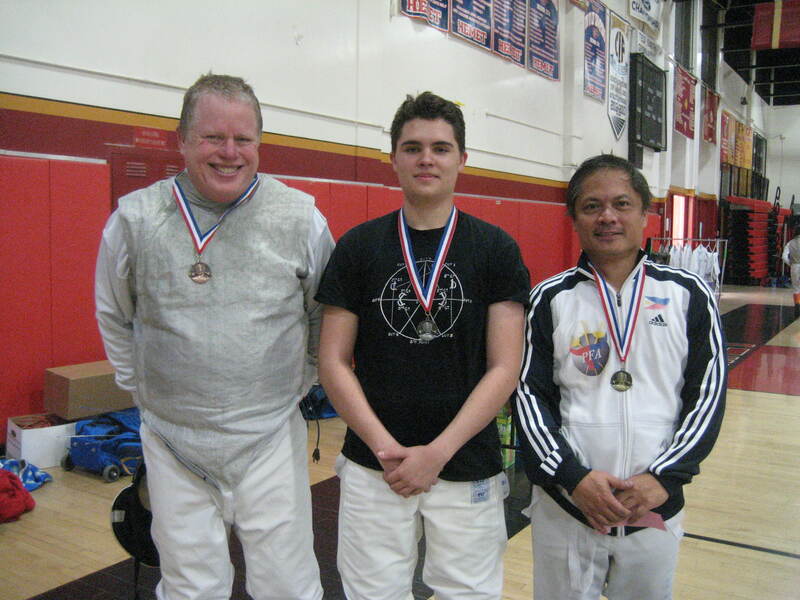 In epee, Frank Hewitt, Cabrillo, took 1st place and earned his A17 rating, in 2nd place, Benjamin Folayan, Tournament Fencers Club/Red Rock Fencing Center, earned his B17, in 3rd place was Timothy Marsh, No Fear, earning his C17, in 6th place, Arturo Perez-Hunt, Desert Fencing Academy, earning his D17 and in 8th place, Leann Labra, UCR, earning her E17. Our next tournament is February 11 at Hemet High School. This is our San Bernardino Division Qualifier for Summer Nationals. 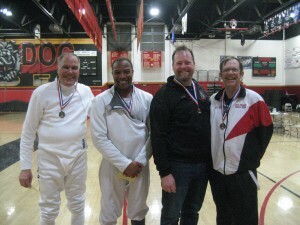 Only fencers who are members of the San Bernardino Division can participate in this qualifier. Events and times are posted on AskFred.net. Please pre-register, but you can register at the door. Happy New Year to all our San Bernardino Division fencers, and fencers who participate in our tournaments from neighboring Divisions! Wishing you all the best in 2017 and a blissful fencing season! Schedule is posted on AskFred. Please pre-register on AskFred. 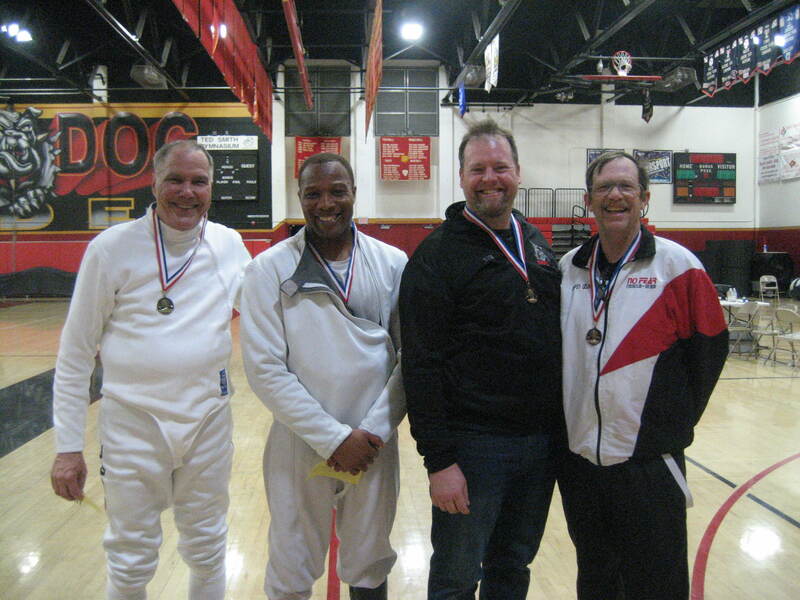 Remember, only fencers who are members of the San Bernardino Division are eligible to fence in the San Bernardino Division qualifier for Summer Nationals. Fencers outside our Division, please check with your Division as to your tournament date. Posted in Uncategorized | Comments Off on Happy New Year 2017!! !